Now that we’ve set up our API and can talk to it from our new React app, we can port our React components from the Rails app into this new app. First, copy over our component .jsx files from our Rails app to our React app. I’ve created a components directory in the src directory of the React app, copied the component files in there and changed the file extensions form .jsx to .js. I’ve also copied the utils directory and files into src. Now we need to install some of the extra libraries that we’re using. And we also need immutability-helper. Then, we need react-router-dom, so add them in as well. That way, we can use our components in the app. If I open up the index.html file, you will see that there’s a div with id root. This is where the React component App is being rendered. Change the ReactApp title to CalReact. If I open up the index.js file, you’ll see here we’re rendering the App component to its special div. Have a look at the browser to see whether it works. We get an error - $ is not defined in Appointments.js. Still, we get the same error in Appointment.js. Now we get a different error message: react-datetime not found. We could have copied the package.json file from our Rails app, but it has a lot of extra libraries which we either don’t need or which are already included by create react app. Now, let’s get back to the app. See how it looks by refreshing the browser. The app is loading but the styles are still missing. We will get back to them. We can also see that the data are not quite loading. We’re getting a 404 error. Now, let’s have a look at the browser. The web page loads. Now, let’s add the CSS. 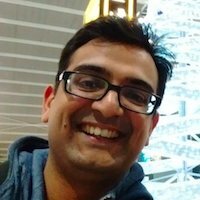 Let’s go back to the Rails app and get to stylesheets by clicking app - assets - stylesheets (https://github.com/learnetto/calreact/tree/m9l1-rails-api/app/assets/stylesheets). Copy the stylesheet appointments.scss over to our components directory (https://github.com/learnetto/calreact-frontend/tree/m9l2-port-components/src/components). And then we need to import the stylesheet into our app. Refresh the page. It’s not working, probably because the stylesheet is a Sass file. But the calendar is still not getting styled. So let’s also copy react-datetime.css over to our components directory. After that change, the calendar is formatted correctly. The center alignment is broken though because it's conflicting with index.css. Then we can delete appointments.css. Now the page loads with all the styles. As the next step, test the form by putting some information into it, like the appointment title and date. And submitting the form is not yet going to work because we haven’t fixed the AJAX URLs in AppointmentForm.js. Try to run the app again. And this time it works! Now, click on an appointment link in the app. This isn’t quite working yet because we haven’t fixed the Show action in the controller. Now if we reload the app, it will work. The rest of the actions are fine, they don't need any changes. So now, let’s try editing an example appointment. Change the title and date and then submit the form by clicking on Update Appointment. It didn’t work. Let’s check the Rails log. You get the RoutingError: No route matches OPTIONS. This is happening because we haven’t listed patch as an action in our application configuration. Then, we need to restart Rails and then we can try editing the appointment again. Change the title and date of the appointment and then submit. Next, let’s try deleting an appointment. It’ll fail because we haven’t added the delete action to our accepted list of methods. Let’s do that now. First, restart Rails. Then, try testing the app again. Click Delete appointment, then click OK.
Now that everything works, we can remove the client directory from the Rails app. We’ve got a front-end React app running on port 3000, talking to a Rails API app running on port 3001.